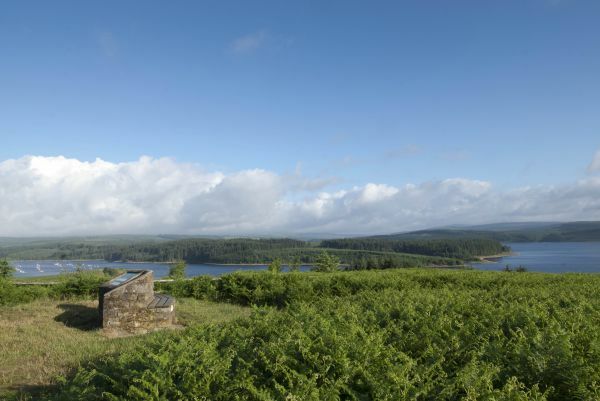 Kielder Water & Forest Park is making it even easier for visitors to discover the beautiful Northumberland countryside. From Wednesday July 8 2015, visitors to the Park will be able to park their cars for free by taking advantage of a new Discovery Pass, administered by the Forestry Commission. The pass, which costs £40, is valid for one year and also includes national and local discounts and offers, as well as a seasonal newsletter. The money raised from the new scheme will help the Kielder Water & Forest Park Development Trust to develop and improve the activities and facilities available at the Park. Lynn Turner, Director of Kielder Water & Forest Park Development Trust, said: “Kielder offers a unique visitor experience on a bigger scale – we’re home to the biggest man-made lake in Northern Europe and, at over 250 square miles, the largest working forest in England. “We’re committed to helping people get the most out of their visit and to providing even more opportunities for people to enjoy what we have to offer. Alex MacLennan, Recreation and Public Affairs Manager for the Forestry Commission in the North East, said: “With the summer holidays on the horizon, the Discovery Pass is a great way for families to save money visiting Kielder Water & Forest Park, while helping to care for it. “Managing the largest forest in England with the huge amount of recreational provision we provide costs money to maintain. Working with our partners, all profit raised from the Kielder Discovery Pass will be directly ploughed back into the visitor services we all provide in the unique setting of this inspirational area. The £40 cost for the year can actually mean only £10 per head for a family of four for 12 months, as the pass is per vehicle and not per person. It must be displayed in the vehicle wherever it is parked within any of the Kielder Water & Forest Park car parks. The pass also includes money-off the art tours taking place in Kielder on Sunday July 26 and Wednesday August 26. Pass holders can join an experienced art curator on a minibus tour of some of Kielder’s most well-known, iconic artworks for just £5 per person. Once visitors have bought their Discovery Pass, they can return to Kielder Water & Forest Park and enjoy their favourite outdoor activities all year round. For more information and to apply for a Discovery Pass, see www.forestry.gov.uk/pass. Discovery Pass holders get a colourful seasonal e-newsletter given the low-down on up coming events and tips on exploring the every-changing forest. Passes can be purchased from Tower Knowe and Leaplish Visitor Centres within the Park or by logging onto the website at www.forestry.gov.uk/pass. National pass-holder discounts include: 15% off Go Ape Tree Top Adventure and Forest Segway, 15% off Forest Holidays cabin bookings, and 10% off Paramo Clothing when buying online. Local discounts include 10% discount off purchases in the gift shop at Leaplish Waterside Park and Tower Knowe, more than 25% off individual tickets for curator led art tours and 10% off bike hire at the Kielder Cycle Centre (www.thebikeplace.co.uk). Members, who have appointed directors/trustees to serve on the board, are Northumbrian Water, Forestry Commission, Calvert Trust Kielder, Kielder Observatory Astronomical Society and Northumberland County Council. Affiliate organisations that are not members but have a close working relationship with KWFPDT include Arts Council England, Northumberland Wildlife Trust, Environment Agency, The Scout Association and local decision making bodies such as the parish councils.